Managing Relationship Conflict – CounselCare Connection. P.C. If you’re a living, breathing human-being, you will have conflict. The only people who don’t are dead. If you have an opinion on anything you will disagree with someone and engage in conflict. Conflict is an inevitable part of life, work and relationships. What happens when you face conflicts at work? What if a co-worker doesn’t make the deadline with his or her part of a combined project? How do you handle it when your boss asks you to do something unethical? What is your reaction to a co-worker who falsely accuses you for losing a big contract? Do you tend to hold your tongue? Do you wait to see what will happen? Or do you confront, defend and blowup? Facing conflict in relationships is difficult. We all want peace, co-operation, harmony and resolution. Conflict can result in either problem-solving and resolution or an all-out war! Conflictual scenarios can prevent collaboration and cause relationship breakdown unless you have the skills to manage it. How you approach conflict greatly impacts the outcome. Scriptural insights: Every book of the Bible contains examples of conflict. A godly attitude, response and prayer can make a huge difference in how the process unfolds. Gideon had a remarkable gift for defusing conflict. In Judges 8:1-3 the Ephraimites accused and criticized Gideon sharply. Gideon’s response was truthful, gentle and complimentary. This caused their resentment and anger toward him to subside proving the principle found in Proverbs 15:1: A gentle answer turns away wrath, but a harsh word stirs up anger. Prayer is essential. Pray that your attitude will be loving and that God will provide you with His wisdom and insight to work through the issue. Paul exhorts us to: “always keep on praying” and to “do everything in love.” in 1 Thessalonians 5:17 (TLB) and 1 Cor 16:14 (NIV). Step one: When you clash or disagree with someone one way to prevent escalation is to take a time-out to consider the issues and your response. Don’t feel pressured to resolve the situation immediately. Step two: SUM-UP what the other person says by paraphrasing their demands, viewpoints and comments. This will clarify the issue and provide you the opportunity to reply. 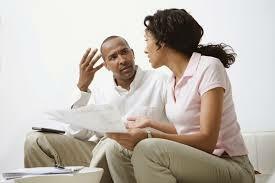 Most people don’t listen well and tend to react defensively when engaged in conflict. Summarizing what someone says demonstrates that you are listening, you care and are trying to understand. Replaying what you hear doesn’t equate to agreement with their opinion or request. Step three: Communicate your need and viewpoint graciously but, firmly. Application: Write out a scenario when you experienced conflict at work. Envision how you could respond by using the time-out, Sum-Up skills and communicating your viewpoint. Learn about assertiveness, empathy and relationships at the What’s Good About Anger Institute! © copyright 2018 by Lynette J. Hoy, NCC, LCPC, CAMS-V as published in The Godly Business Woman magazine.